Let Arch Painting take care of your interior painting project so you can focus on other tasks with complete peace of mind. From flexible scheduling to exemplary on-site professionalism, our interior painting services are tailored to meet your requirements. Reliable quotes: Arch Painting has an in-house estimator who uses the latest in estimation software. When you receive an estimate from us, rest assured that’s the price you’ll pay. If your requirements change along the way, we’re always happy to adjust and re-quote. Flexible scheduling: We understand that every construction site has changes and surprises. That is why Arch Painting will work closely with you to schedule your project when you need us to be there. That includes days, nights, or weekends. Work can also be coordinated across multiple projects. Superior craftsmanship: With a quality product selection and expert painting process, you’re ensured of a flawless, lasting finish for your project. Careful coordination: As your commercial painter, Arch Painting will be respectful of other trades during your project. Expect a team that is discreet while on-site and that cleans up meticulously after a day’s work. Safety: Not only do we carry higher levels of insurance than most commercial painters, but our painters are also OSHA trained and certified, lead and lift certified, and respirator fit tested for use of respirators. Protect: Before your project begins, any furniture will be protected from dust and paint. Smoke detectors and sprinkler heads are masked or shut down in accordance with building and local fire codes. Signs and barriers are used liberally to direct other trades safely around the work site. Our crew also covers the floors with drop cloths and masks all fixtures, hinges, and doorknobs to shield them from dust and paint drips. Prepare: Filling nail holes, fixing cracks, and stripping old wall coverings is standard procedure before we start the project. Dirt and dust are cleaned off surfaces to improve paint adhesion, and uneven surfaces are sanded to ensure a smooth finish. We also repair plaster cracks and caulk gaps where trim molding meets walls and ceilings. Negative air machines and air scrubbers are used to properly ventilate the building and minimize fumes when required. If your project has high ceilings or other elevated areas to be painted, scaffolding may be erected or lifts may be utilized. Apply: Our commercial painting teams apply the right primers and finishes to withstand the demands of your project. 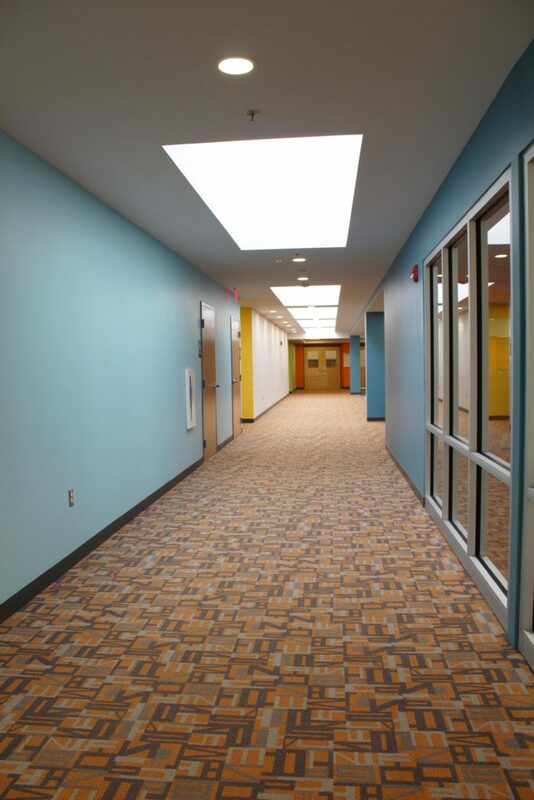 We do it all – from basic wall coatings to industrial epoxies and everything in between.